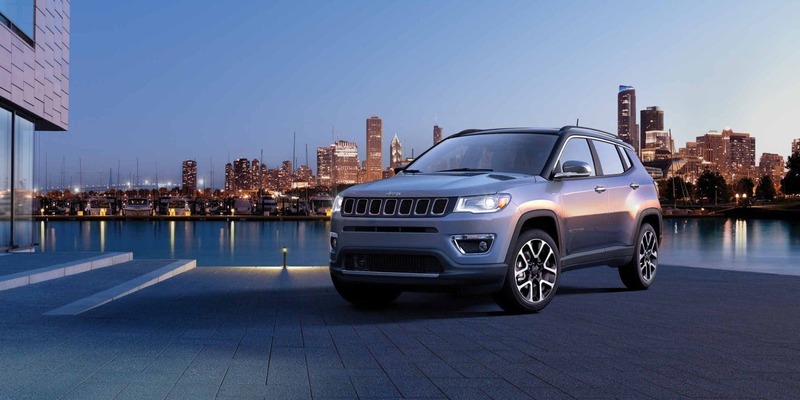 The Trail Rated Jeep Compass was newly redesigned in prior years and the 2019 version isn't looking back at any on-road and/or off-road obstacles it crushed on the way forward! New, developed LED head- and tail-lamps, new wheel designs, and the 7" Uconnect touchscreen becoming standard on the Sport & Latitude models are just a few of the exceptional 2019 offerings. Look as well for a unique finish on the 17" wheels, a new Premium Lighting Group suite, and Adaptive Cruise Control is added into the Advanced Safety Group Package. 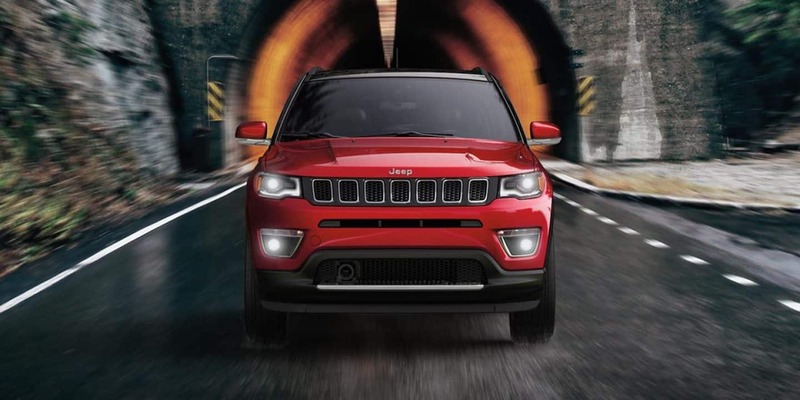 The off-road dynamo Trailhawk model has a 20:1 crawl ratio, the FWD Latitude model can capture a 22/31 city/highway, and there are three special editions that add luxury on top of capability! 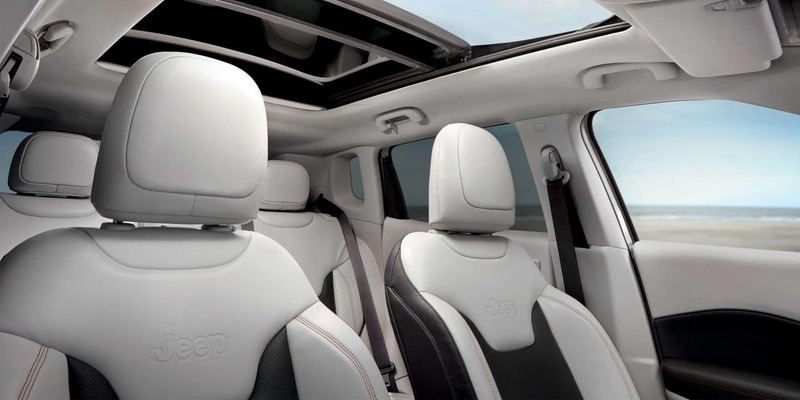 The Compass means business, with excellent room for adults in the back seats, notable fuel efficiency for its vehicle type, as well as tech-friendly interfacing! Get it FWD or 4WD, it will have the Selec-Terrain system to help you automatically navigate bad roads or good roads, not to mention the All-Wheel-Drive allowed on any model! How is the horsepower with these engine choices? The AWD Trailhawk stands alone as the model that's configured that way only, the others come standard as front-wheel drive with the option for AWD. Standard inside is a MultiAir2 Tigershark 2.4L four-cylinder engine that blasts out 180-horsepower and 175 pound-feet of torque. Consider what you can tow with this combo: jet-ski's, snowmobiles, a trailer with firewood-- anything up to 2,000-lbs! The Trailer-Tow Group makes that easier with a 4-pin wiring harness, a Class III Receiver-Hitch, and a full-size spare tire! Transmission choices really open up the field with a 6-speed automatic (on the 4x2) or a 9-speed automatic (on the 4x4), and even a 6-speed manual transmission that's possible to get for the Sport & Latitude models (all drive arrangements). 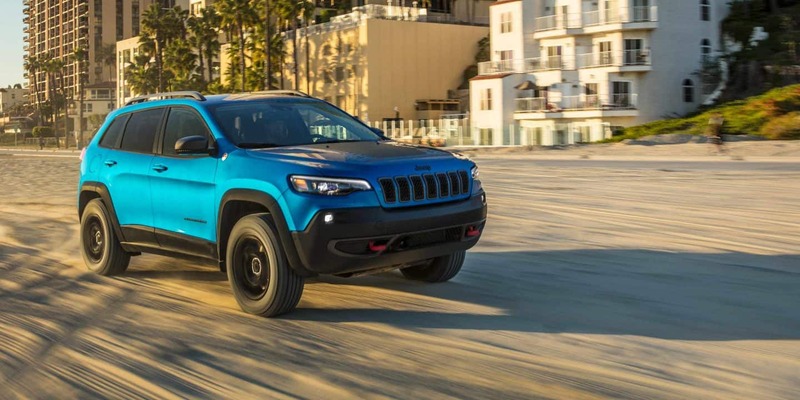 The 2019 Compass 4x4 has standardized Drive modes as well: Auto, Snow, Sand, and Mud, with the Trailhawk brandishing Rock Mode on top of those. Does the model roster have some good items and capabilities? 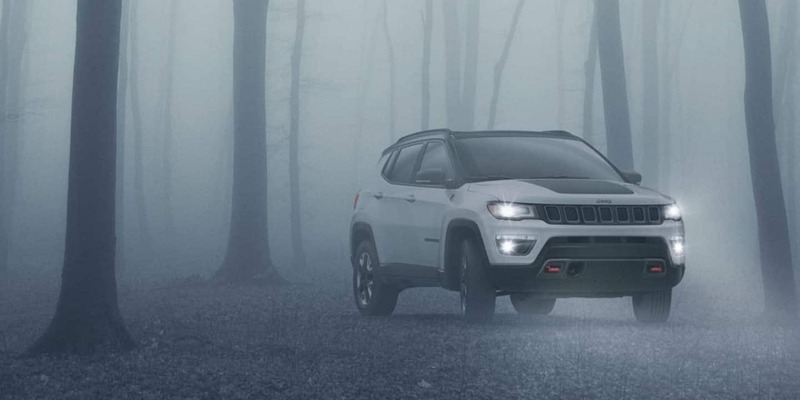 The 2019 Compass has four primary models: the Latitude, Sport, Limited, and Trailhawk. There are also three special editions with the following monikers: the Altitude, High Altitude, and the Upland. Let's talk about the Trailhawk a moment to get the suspense over with! 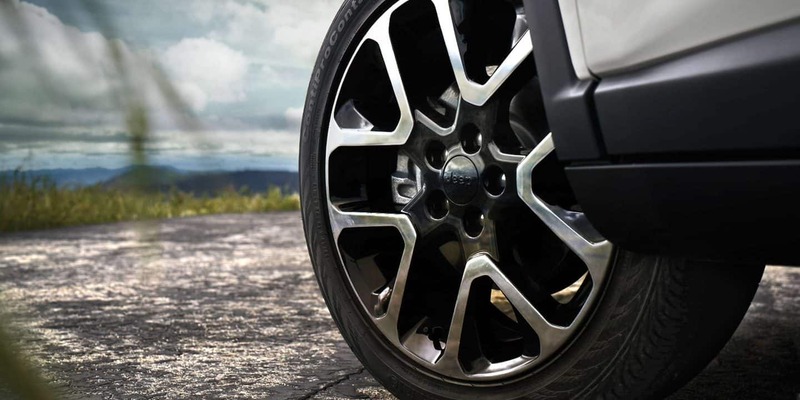 The Trailhawk model brings 17-inch wheels that are sheathed in off-roading tires. It has a raised suspension, the Uconnect 4 with 8.4-inch touchscreen, Ruby Red tow hooks in the front & rear, available elegant leather-trimmed seats (also with Ruby Red stitching), and a matte-black hood. 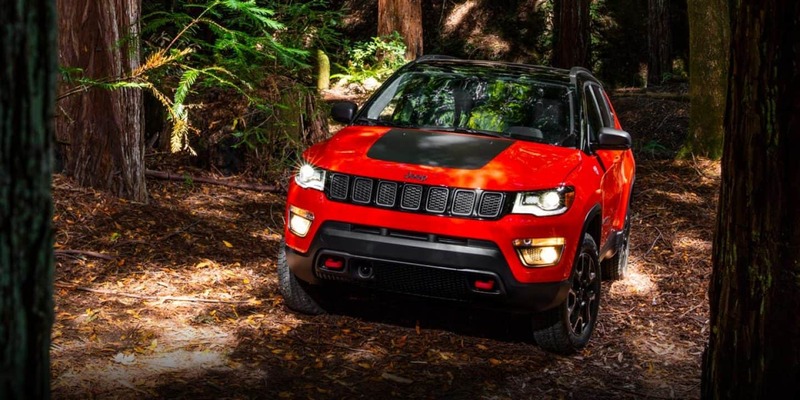 Also in the Trailhawk is the Jeep Active Drive Low 4x4 System, which includes a low range, a 20:1 crawl ratio, and a rear axle disconnect that effortlessly alternates between 2- and 4-WD. The ability to drive into (& out of) 19-inches high of water, the extended ride height of approximately an inch, and Hill-descent Control all absolutely make the Trailhawk a force to be reckoned with. 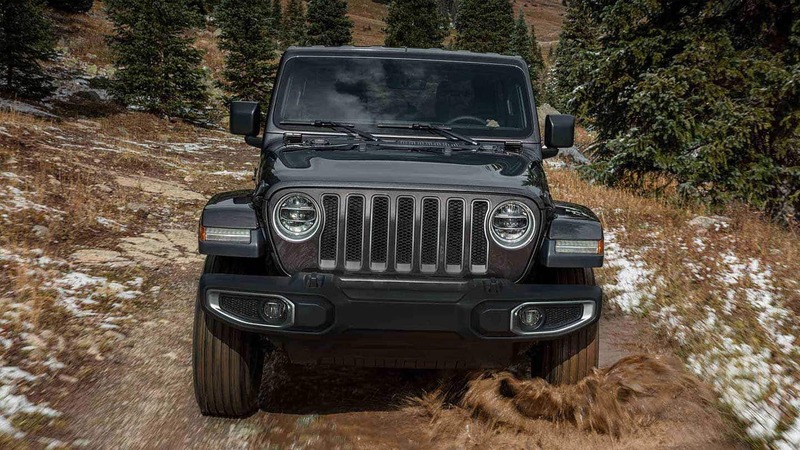 Over to the 2019 Jeep Latitude model we go with its auto 2-zone climate control, Apple CarPlay/Android Auto apps (on the 8.4" Uconnect), a leather-wrapped steering wheel, a driver informational display, broader wheel widths, keyless ignition/entry, and a power driver seat. The Sport model brings in the Uconnect as well with a 7" infotainment system, a USB port, A/C, 16-inch wheels, 6-speakers, and Bluetooth. The Limited model involves a heated steering wheel, 8-way leather-wrapped & power-adaptable chairs, and allows heated power exterior mirrors with built-in blinkers to be installed, as well as 18" wheels. There's a bevy of one-off items available too, depending on the model, such as heated power seats, polished chrome exhaust tips, a Beats audio system, a power liftgate, a moonroof, and navigation. 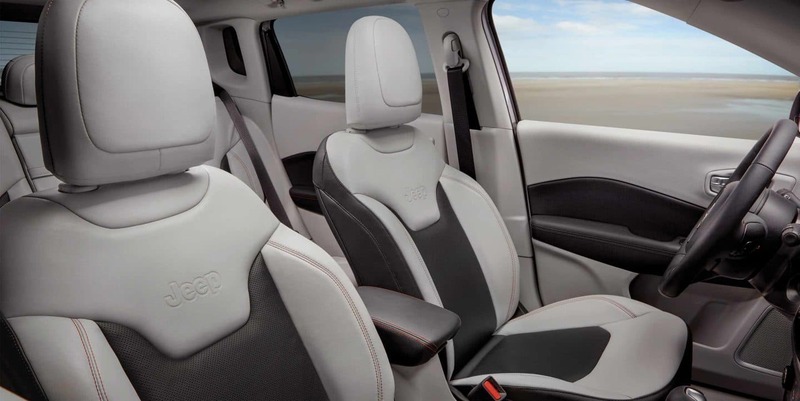 How is the security in the 2019 Compass? 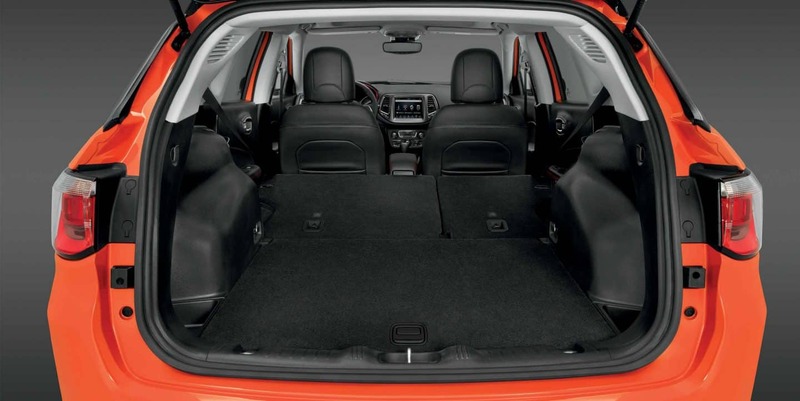 There are nearly 70 standard safety and security devices assisting the 2019 Jeep Compass, such as seven standard airbags, a ParkView Rear Back-Up Camera, LaneSense Lane Departure Warning with Lane Keep Assist, an available Full-Speed Forward Collision Warning with Active Braking, Blind Spot Monitoring and Rear Cross Path Detection, and the ParkSense Rear Park Assist System. There's high-strength steel construction for the vehicle's frame with a solid base of strength and sturdiness no matter the scenario. It also has the LATCH system, Electronic Stability Control, four-wheel ABS, and a Tire Pressure Monitoring Display to keep the driver ahead of the game. One more thing: The Compass has 3 special editions to outline! The Altitude model gets in there with its two-tone gloss black roof (option for a Dual-Pane Panoramic Sunroof), black finishes on the exterior badging, and 18-inch gloss black aluminum wheels. The Upland model brings silver anodized cabin details, styling 17-inch polished aluminum wheels with gloss black pockets, a Trailhawk-esque fascia, a front suspension skid plate, and tow hooks in Matte Black. Also noticeable is the Gloss Black roof complementing a sparkling chrome exhaust tip out back. The High Altitude model adopts the same Gloss Black roof, has 19" Satin Gloss Granite wheels, high-intensity discharge (HID) headlamps fused with LEDs, the Nav-enabled Uconnect 8.4" touchscreen, tungsten cabin stitching, anodized gunmetal interior finishes, and also deep-tint glass. As you can see, there are a lot of choices to make! Why not get started by stopping by here today and talking with us about the 2019 Compass?